Black Friday is coming to Open Grow™ Shop! 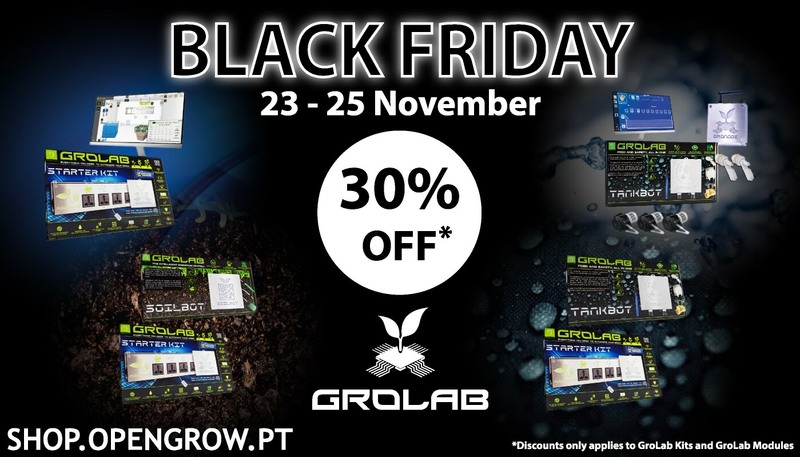 From November 23 to 25, the Open Grow™ Shop will offer a 30% discount in all GroLab™ Kits and GroLab™ modules. If you want to automate your grow(s) this is the perfect opportunity to acquire GroLab™!